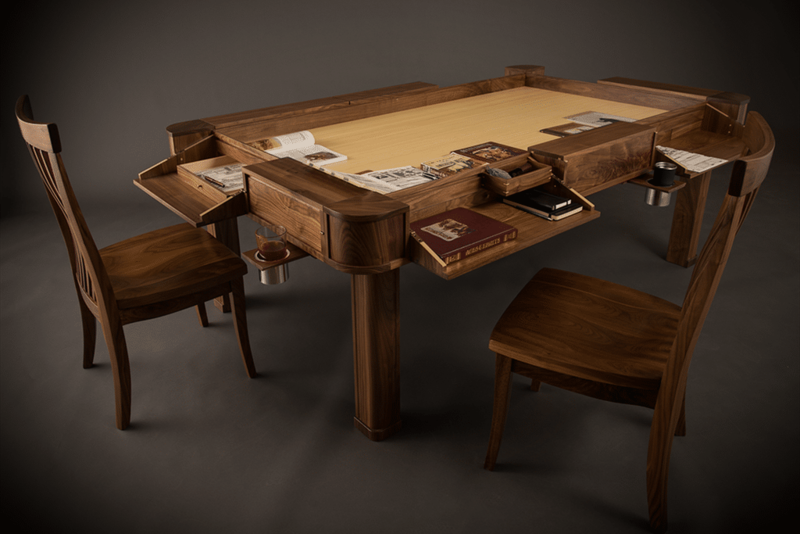 This week's category for the Furniture theme is Gaming. 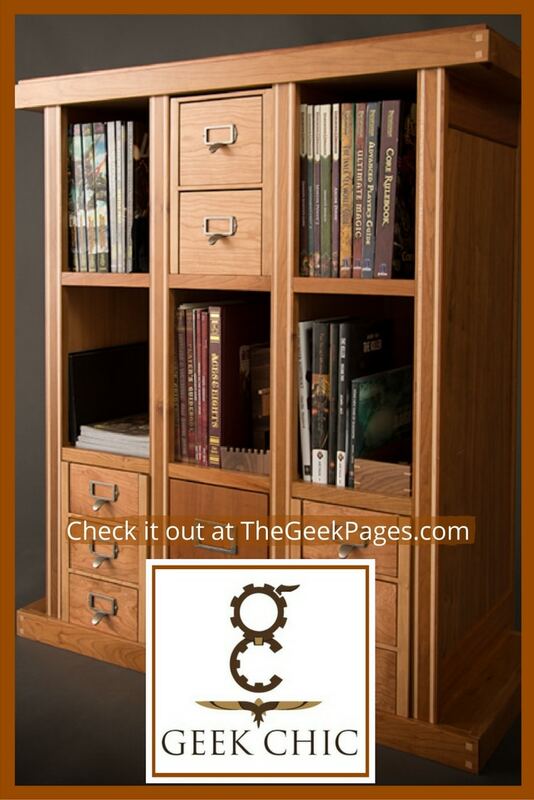 And of course, here at the Geek Pages, when we say Gaming, we mean Tabletop Gaming. Pen and paper role-playing, board games - you name it. If it's played live and in person, it counts. 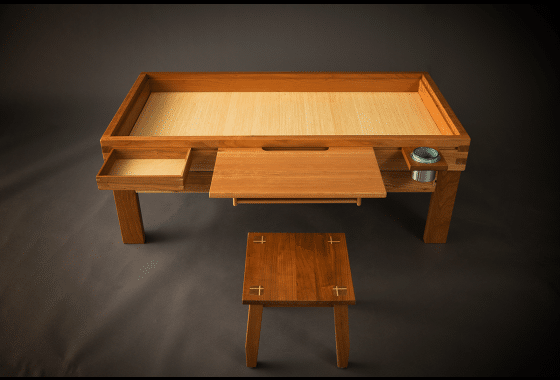 In contrast to last week, where the category just really didn't work with the Furniture theme, Gaming and Furniture are a perfect match. The listing I'll be showing you today is one I've been looking forward​ to featuring for a long time. This is a truly stand-out business in an often mediocre industry. 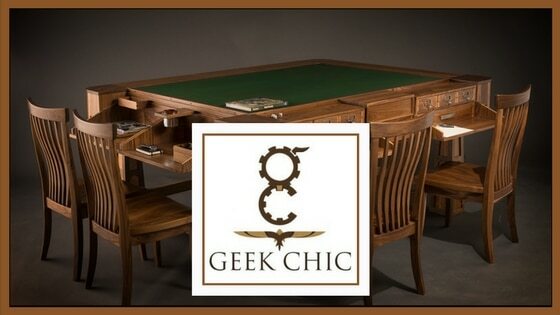 Offering customizable, hand-crafted, heirloom quality furniture designed just for geeks and gamers, please meet Geek Chic. So what exactly is so amazing about Geek Chic? 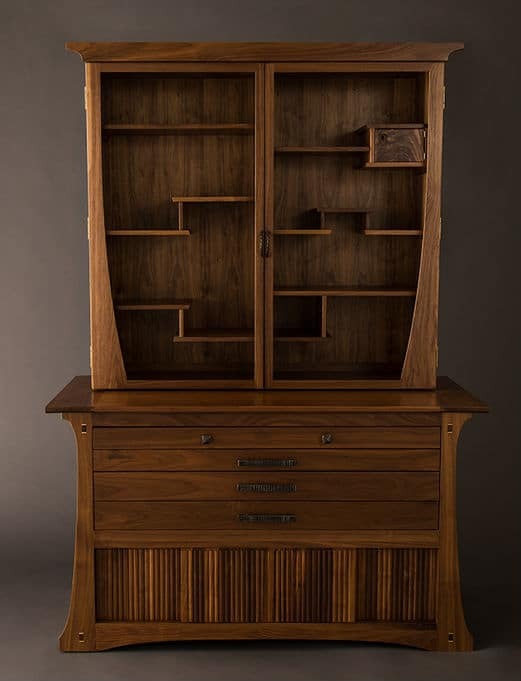 Well, just look at their furniture - it's gorgeous! 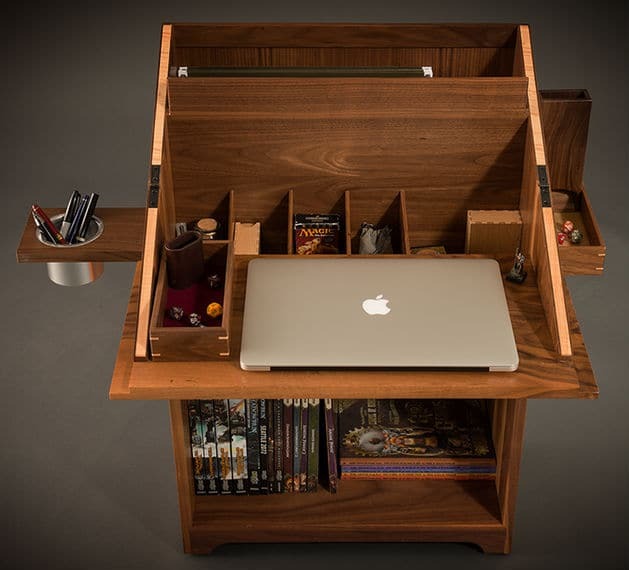 Designed expressly for geeks like us to play or store our games, comic books and pop culture collectibles, and hand-built ​to the highest standards, these are pieces that will be treasured for generations. 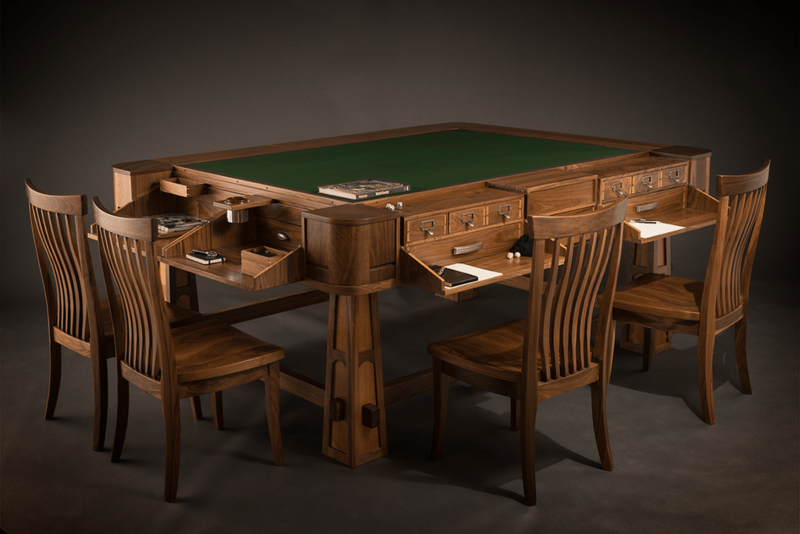 Some of their tables are built just for gaming. 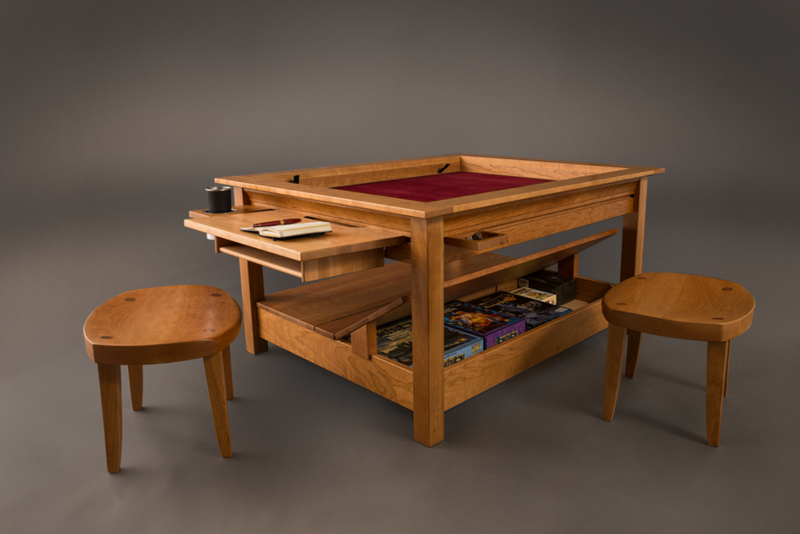 Whether you are running a role-playing campaign, or playing a board game, these tables have everything you need to play in style and comfort. Recessed playing area, player stations, and a variety of add-on accessories are available to customize it exactly to your specifications. 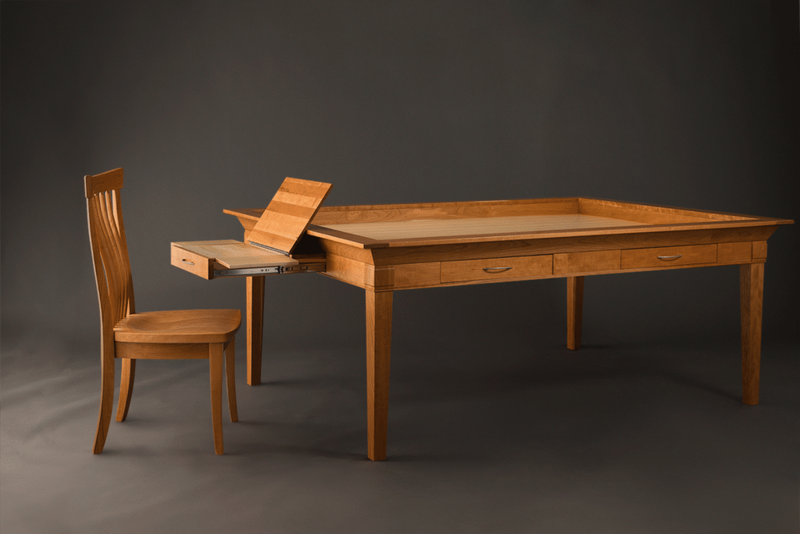 But they also offer multi-functional furniture, for those of who don't have room for a dedicated gaming area. 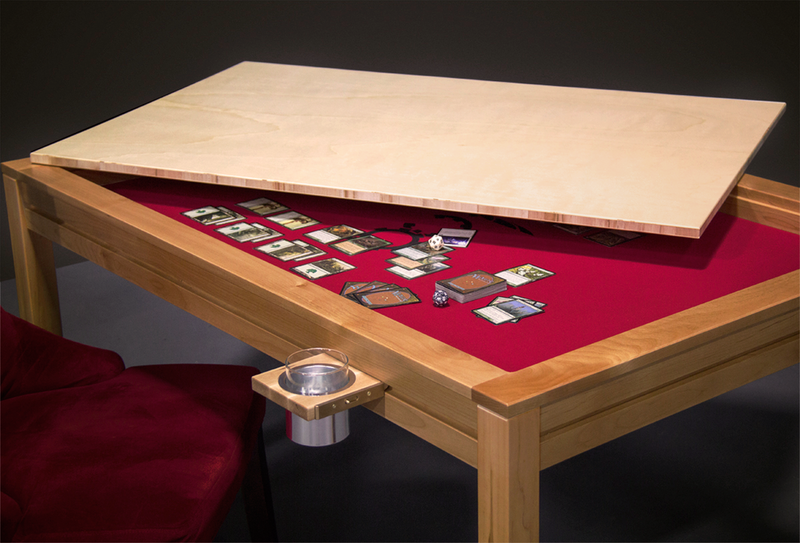 Plus, the discerning geek doesn't stop at a table. 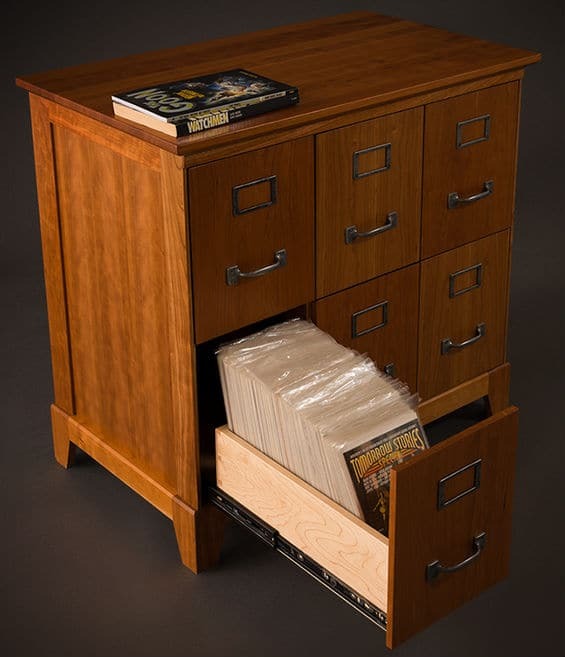 Take a look at these storage options. I don't know about you, but looking at these pictures always gets me dreaming about the One True Perfect Game Room, that I am SURE I will someday have. That room will definitely have some Geek Chic furniture in it. Geek ﻿﻿Chic started with just a few guys in a garage, but has grown so popular that it now has 50 employees and a 40,000 square foot workshop! I'm sure you can tell from looking at them - this is not inexpensive furniture. It is hand made, customized, and artisan quality. You will pay a pretty penny for these. 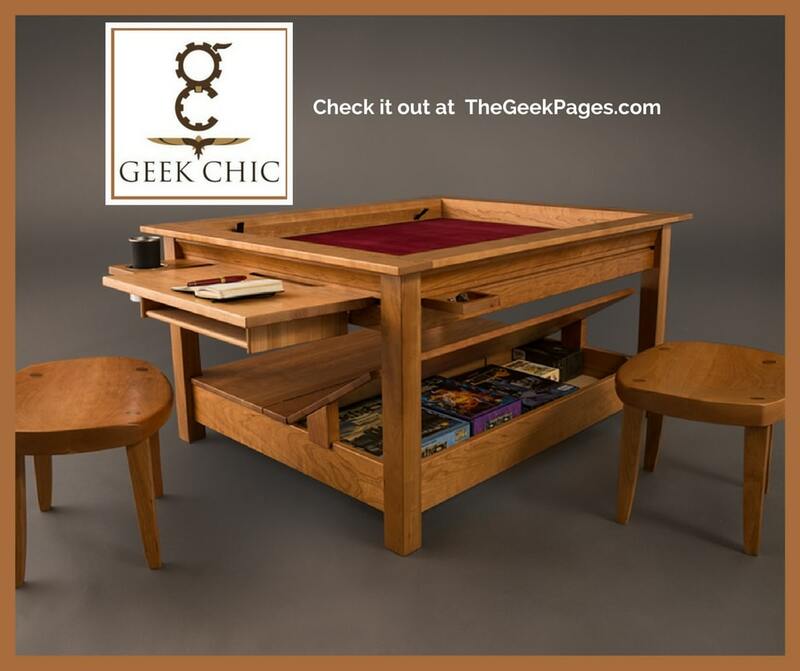 But by all accounts, the experience of working with Geek Chic is second to none, and you will end up with amazing furniture that will last a lifetime - and more. 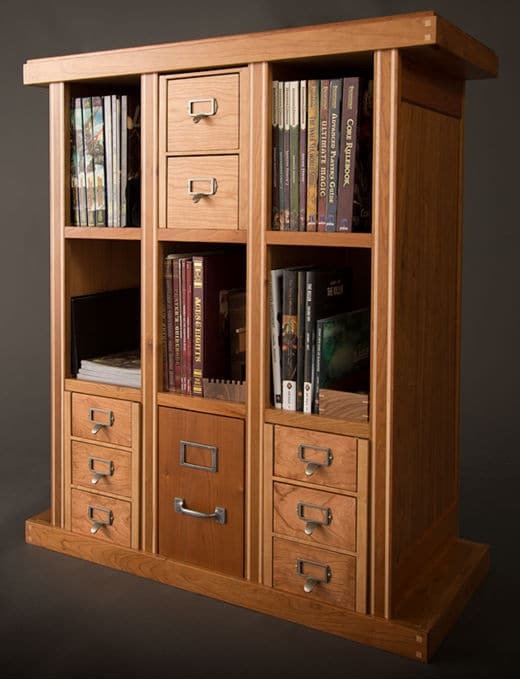 What kind of game furniture do you have? 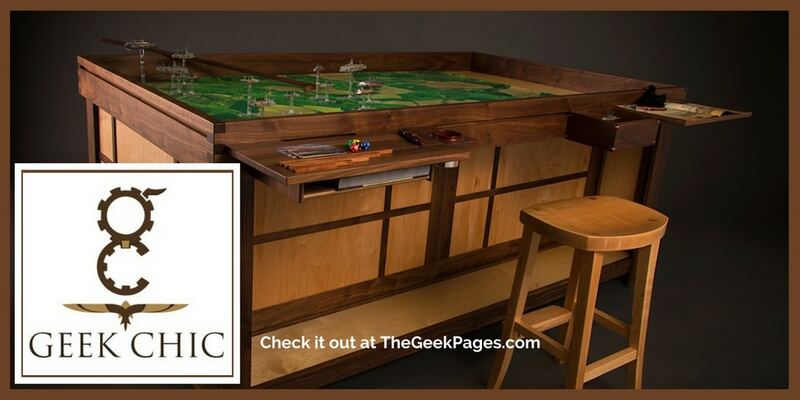 Which piece of Geek Chic furniture ​will you be dreaming of tonight? Tell us in the comments!